Our Effective Termite Treatment is second to none. We have applied over 10,000 treatments with an estimated call-back percentage of 0.002%. This is far below Termidor’s manufacturer estimate of 1%. We do the treatment right the first time to assure the barrier has not been compromised. We have been in business since 1991 and have developed a successful process of effective termite treatment. We provide long-term protection of the structures we treat. They are still developing and testing their termite programs. We provide a DETAILED DIAGRAM with highlighted areas to be treated and the GALLONS OF PRODUCT TO BE APPLIED. This discloses to the homeowner the information necessary to ensure the proper amount of chemical is used to protect them. Lack of specifics regarding the work to be done opens up your treatment to error. Under treatment is one of the leading causes of termite resurgence at the same location according to the Nebraska Department of Agriculture. Our full-time technicians with multiple years of experience encounter a variety of scenarios. This helps to assure you of proper application and limiting errors in treatment. Many companies rely on seasonal help which must be taught to perform a treatment each season which increases the chances for error. Our Lifetime Extendable Warranties are 100% ASSUMABLE AND TRANSFERABLE to future purchasers of your home (provided the terms of the warranty are kept in force). WE CONTACT YOU annually to set your inspection appointment. Some companies give a free warranty upfront but still expect YOU to call THEM back. They rely on exclusions within the warranty or missed appointments on the part of the customer to void the warranty. Our periodic inspections comply with the recommendations of the manufacturer of Termidor and BASF which mandate these inspections. Their lack of periodic inspections can allow your structure to be compromised due to undetected damage. With ABC once your treatment is performed you can count on our Lifetime Extendable Warranty. This ensures protection and assurance that you will never again have to incur the costs of a full treatment. 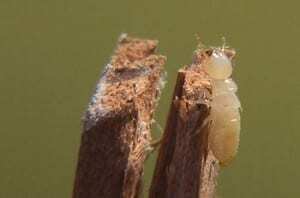 Our termite warranty inspection fees never increase over the life of the warranty. Many companies start with a low renewal fee and increase those fees over time.